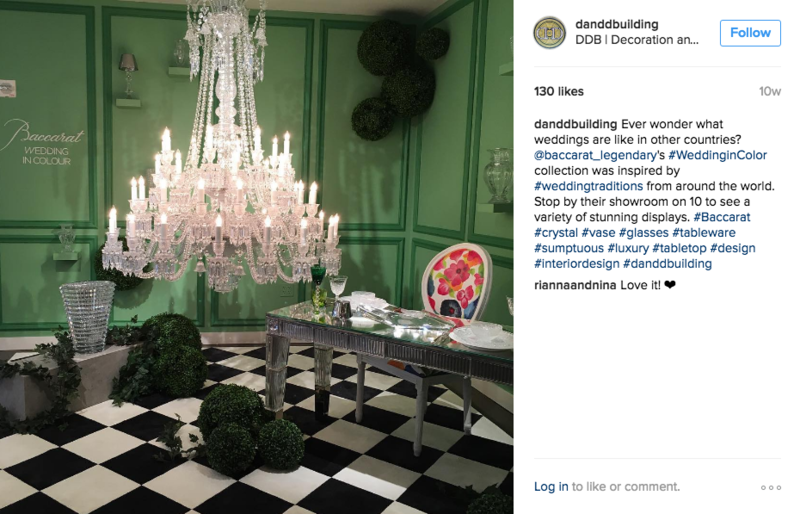 Just in time for wedding season, Baccarat’s window display gives us a sneak peek of their Wedding In Color Collection. Check it out on floor 10 to see how you can add some sparkle and shine to your tabletop and more. 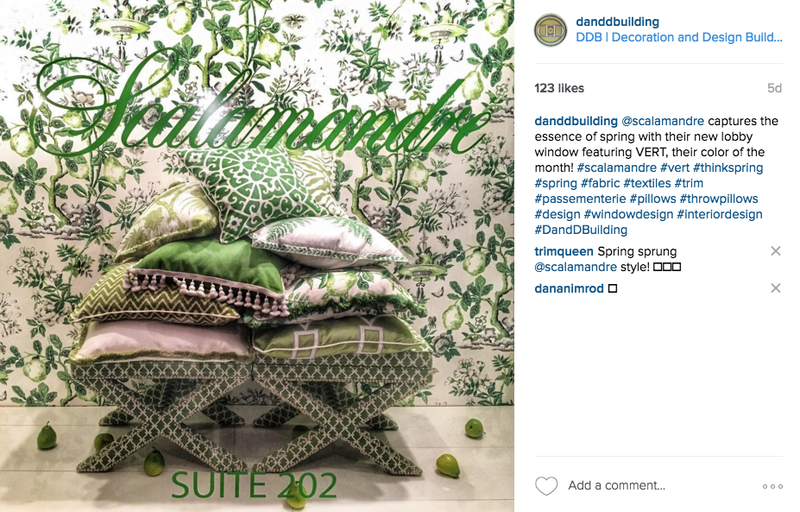 The other display windows must be green with envy because Scalamandre’s window has the most likes this week. 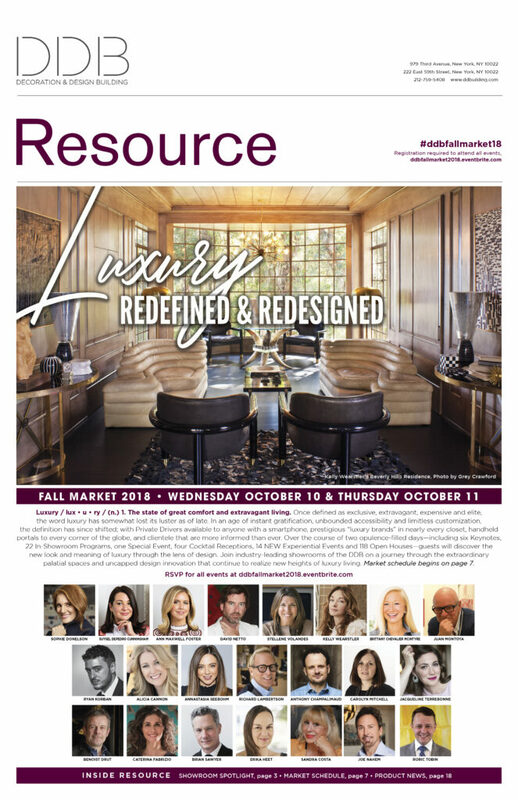 There is some stiff competition in both the Third Avenue and 59th Street corridors – be sure to check them both out the next time you’re here! Did you know that we love student visits here are the D&D? We believe that today’s design students are tomorrow’s design superstars and we want to do everything we can to help them on their journey. 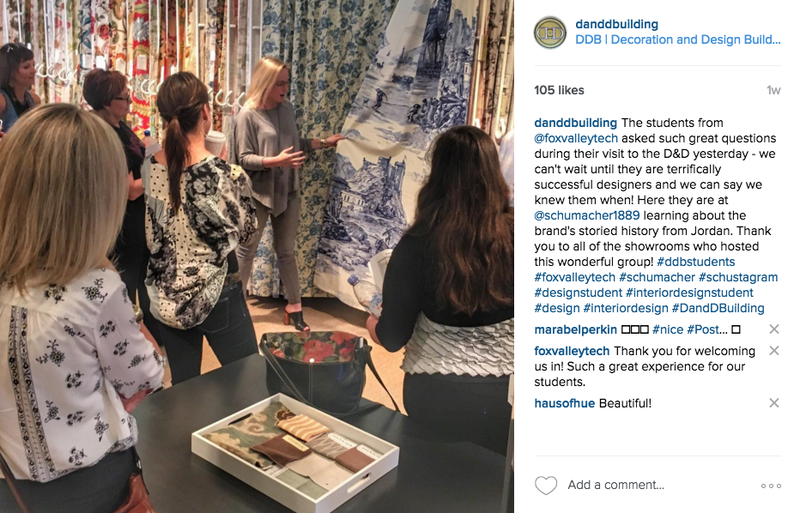 It’s great to see that our followers agree because this shot of a student tour in the Schumacher showroom is our Instagram of the week. Leave it to Pierre Frey and Patrick Mele to make graffiti glamorous. 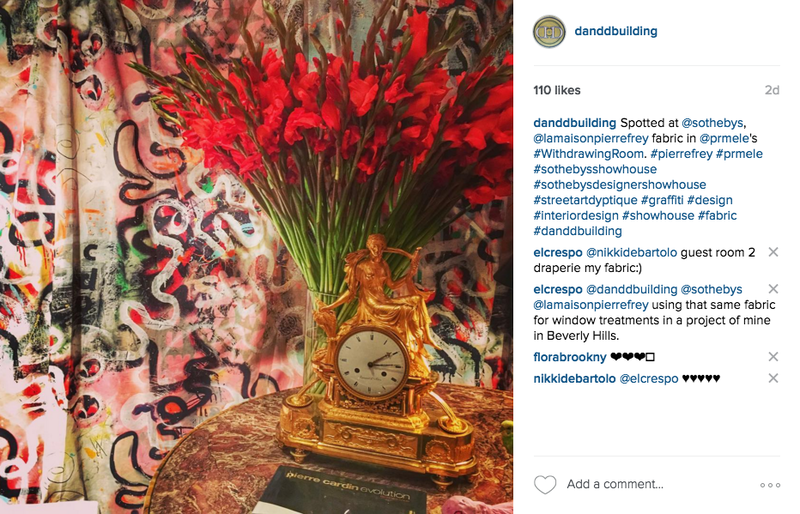 Patrick’s Withdrawing Room in the Sotheby’s Designer Showhouse was the toast of our Instagram this week – and you can see why! 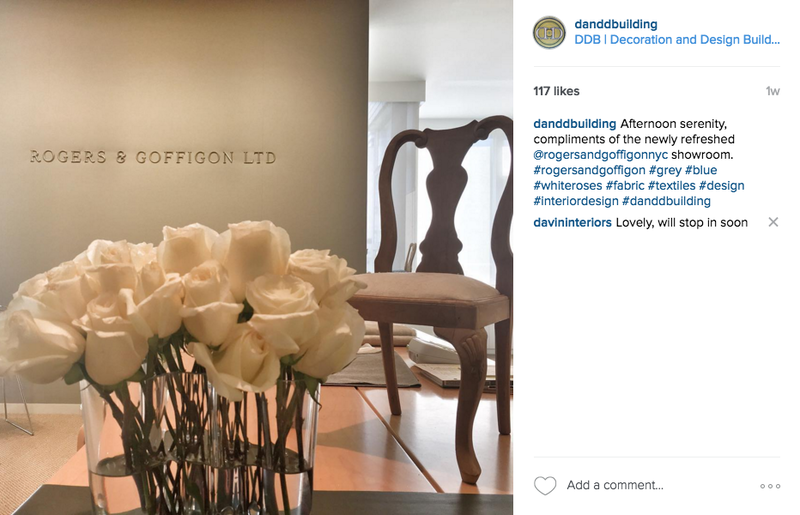 The recently refreshed Rogers & Goffigon showroom stole the hearts of our followers this week. 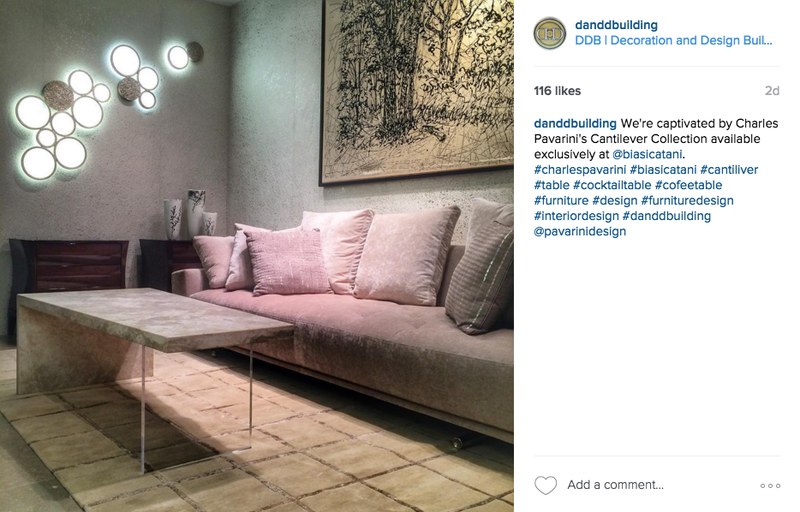 The soft lighting that fills their 17th floor showroom makes for a serene atmosphere that can calm even the most chaotic mind. We are passionate about plaid, so this gorgeous couch clad in Designers Guild fabric and covered in perfect pastel throw pillows immediately caught our eye when we walked into the Osborne & Little showroom. 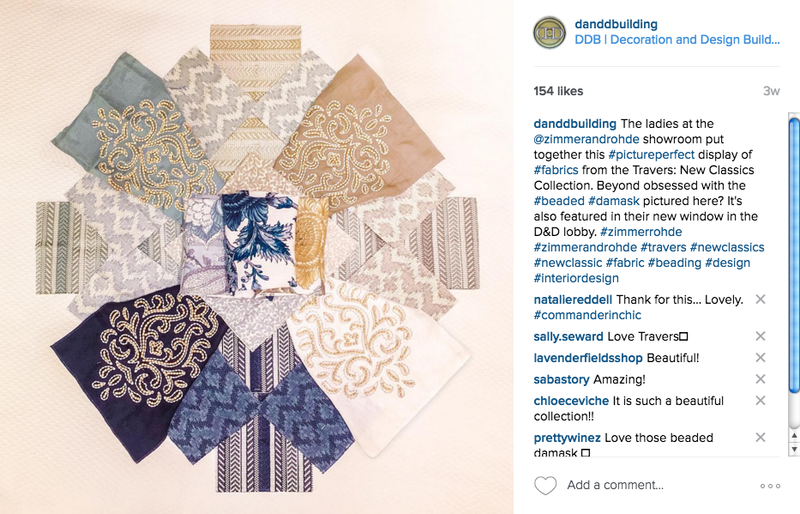 Our followers are clearly mad for plaid as well, since this image was selected as the Instagram of the Week. 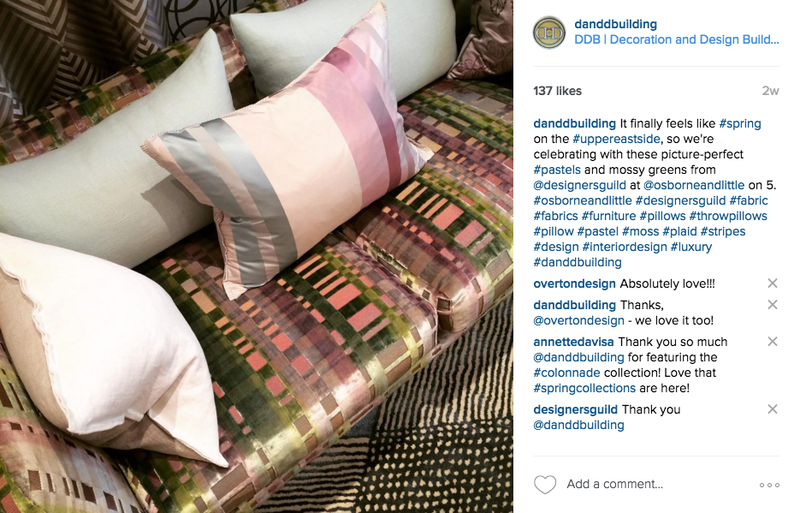 The Instagram game is strong in the Zimmer + Rohde showroom. When we got word that they had put together a picture perfect display for us, we were excited to see what they had in store. Clearly, they did not disappoint. In fact, they dazzled! 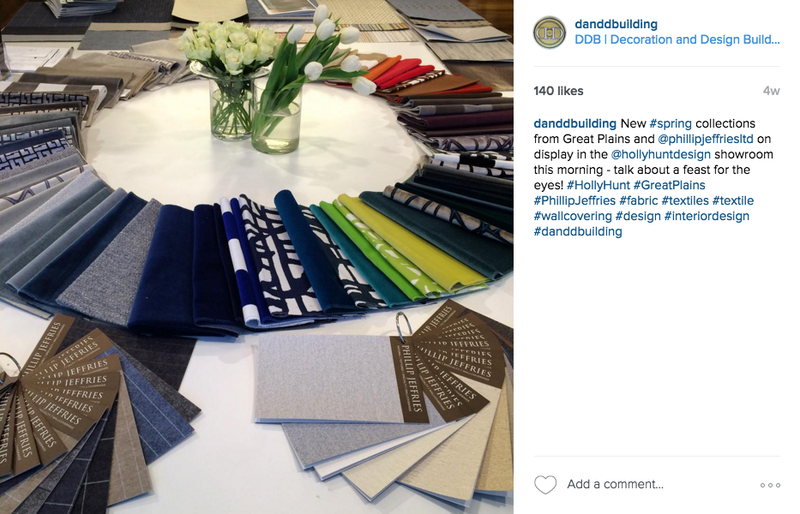 Our followers must have great ideas for the new Great Plains and Phillips Jeffries spring collections because they went wild for this image from the Holly Hunt showroom. Nothing like new lines to get designers tapping that ‘like’ button. 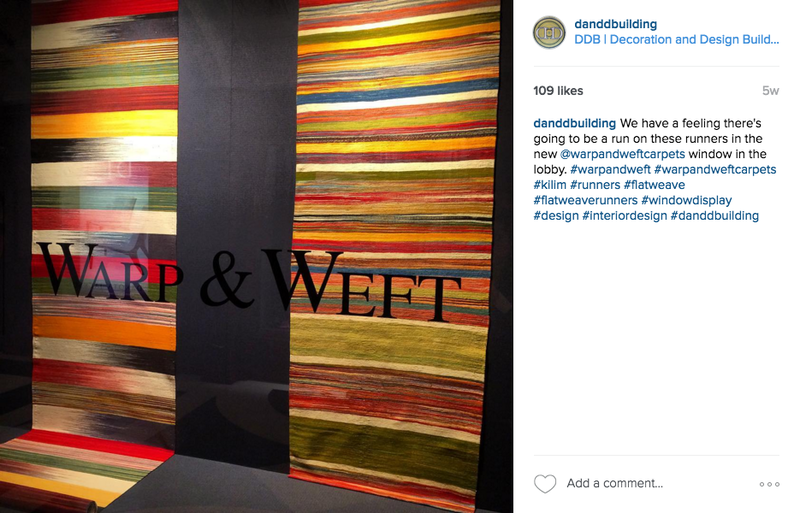 Our winner this week is Warp & Weft with their bold new window featuring their bright Kia Sar kilim runners. We are certain that visitors to the building saw this window and went straight up to the 12th floor to see all that Warp & Weft has to offer – which is exactly what you should do the next time you’re here. We don’t mean to brag, but our followers have the best taste; they went wild for this Charles Pavarini Cantilever cocktail table, available exclusively through the Biasi Catani showroom. Keep an eye on this Brazilian brand in the coming months as they are going to have some very exciting announcements to share with our audience!